Learn the ins and outs of Bitcoin so you can get started today Bitcoin For Dummies is the fast, easy way to start trading crypto currency, with clear explanations and expert advice for breaking into this exciting new market. Understanding the mechanisms and risk behind Bitcoin can be a challenge, but this book breaks it down into easy-to-understand language to give you a solid grasp of just where your money is going. You'll learn the details of Bitcoin trading, how to set up your Bitcoin wallet, and everything you need to get started right away. An in-depth discussion on security shows you how to protect yourself against some of the riskier aspects of this open-source platform, helping you reduce your risks in the market and use Bitcoin safely and effectively. Understand the ins and outs of the Bitcoin market * Learn how to set up your Bitcoin wallet * Protect yourself against fraud and theft * Get started trading this exciting new currency The Bitcoin market is huge, growing quickly, and packed with potential. There's also some risk, so you need to go in fully informed and take steps to manage your risk wisely. 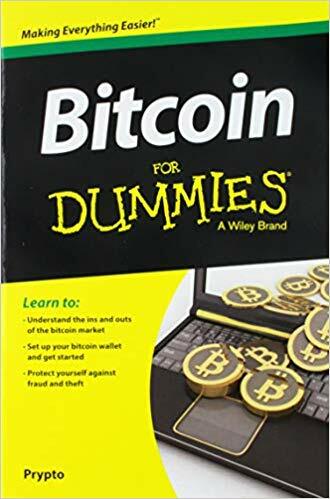 Bitcoin For Dummies is the clear, quick, easy-to-follow guide to getting started with Bitcoin.